“Elise Delcroix was coming home after eleven years for the recognition and retribution she knew she deserved.”Elise Delcroix left the small town she grew up in eleven years earlier, angry, hurt, and vowing never to return. As a child she’d felt entitled to the best of her father’s love and attention, resenting his favoritism toward her half-sister and half-brother. Only her immigrant grandfather had showered her with the devotion she felt she needed. Her problems with her father were a case of history repeating itself. The grandfather she adored had favored two of his children over Elise’s father, Emil.Emil’s own frustrations with his father, Jules, and his wild youth, leave Elise a child of a volatile divorce, shuttled between her alcoholic mother and her successful, but judgmental father and forced to share his love with the children of his other relationships. She rebels against him in every way for attention, shunning his increasingly religious ways, acting out against her brother and step-mother. Only her grandfather and her half-sister, Nova, are spared Elise’s wrath and offered her love.When family suspicions turn toward her, rather than her brother, over a questionable bank transaction, Elise leaves home for New York, furious and unforgiving, remaining estranged from her father until his death. Set in the green, rolling hills of Western Pennsylvania and narrated by Elise, Nova, and their grandmother, Eugenie, The Narrow Gate is a powerful and tender novelabout coming home and a family that must face its own flaws in order to find a way to heal. First Place winner of the 2017 TAZ Award for Fiction from The Author Zone, this novel is a heart warming and moving experience. Born and raised in Western Pennsylvania, Janet Roberts graduated from Temple University with a degree in journalism. After working as a journalist and later as a paralegal, she obtained her masters in communications from Edinboro University of Pennsylvania. Although her current job has meant moving to a variety of cities, she often returns to her Western Pennsylvania roots in her writing. 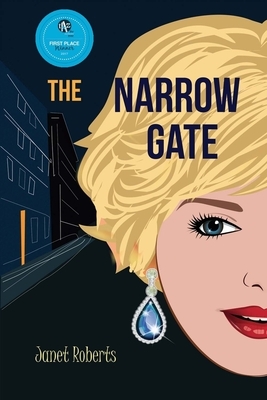 Her novel, The Narrow Gate, won the 2017 TAZ Award for 1st Place in Fiction from The Author Zone.